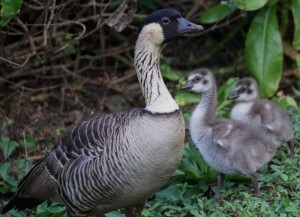 The Department of Land and Natural Resources and the Kaua‘i National Wildlife Refuge Complex are reminding Kaua‘i residents that March is the middle of the breeding season for Hawaiʻi’s native goose, the nēnē, which typically runs from September to April. 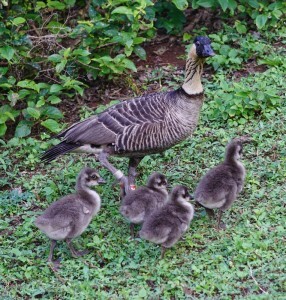 Department officials say reports of loose dogs and cats hunting nēnē have been on the rise island-wide this breeding season, with four goslings found dead along the side of Kīlauea Road on Feb. 10, 2016. Given the nature of the injuries in the Feb. 10th incident, department officials say the deaths are believed to be the result of dog attacks. 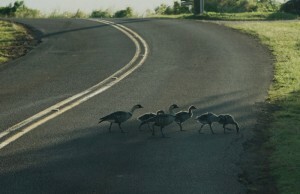 Since then, three more goslings have been found dead and one more was seriously injured along Kīlauea and Kauapea roads. The injured gosling appeared to have been attacked by a dog and succumbed to its injuries shortly after being picked up by DLNR’s Division of Forestry and Wildlife staff. Nēnē goslings are flightless for their first 2-3 months of life and breeding adults are often reluctant to leave their nest or young behind when faced with predators, leaving them vulnerable to attack. Additionally, all adult nēnē drop their flight feathers once a year. This process, known as molting, leaves the adults flightless for several weeks while they grow in fresh feathers, creating a situation where they are unable to fly away in order to escape a threat. Here on Maui, nēnē are known to frequent Haleakalā, Ukumehame and Waikapū, among other areas. 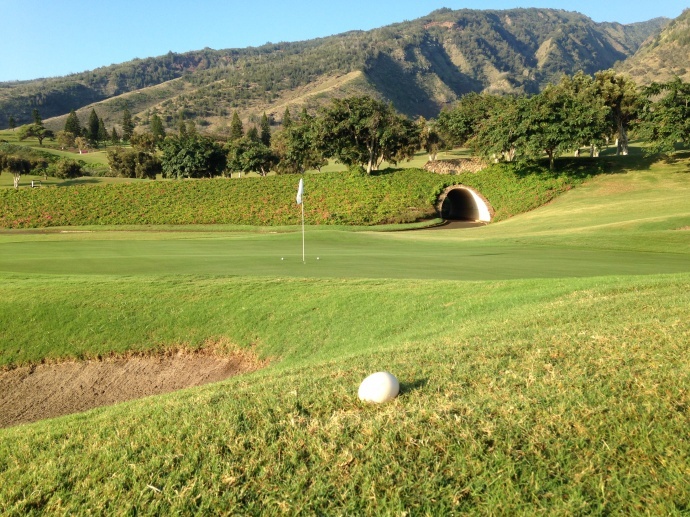 Authorities on Maui release advisories annually urging the public to slow down on roads near where nēnē are known to forage and to be mindful of eggs found on occasion at golf courses. To protect the state bird, the public on Kaua‘i is being advised keep your pets indoors, on leash, in a kennel or in a fenced yard. To help keep nēnē wild, they should not be fed, as it is considered harmful and will encourage them to beg near people, and be attracted to roadways and other hazards. 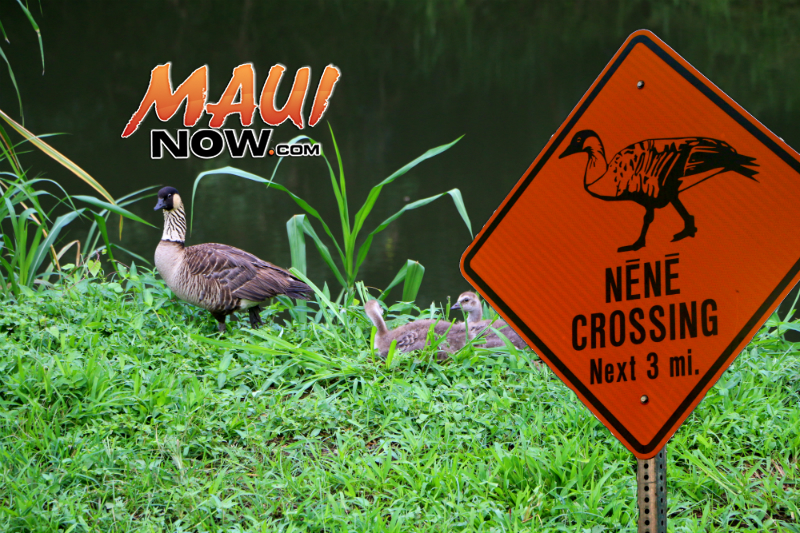 Like on Maui, Kaua‘i residents are also asked to observe speed limits and slow down for nēnē and their families. The nēnē is the state bird of Hawai‘i, currently listed as federally endangered, and native to the Hawaiian Islands. 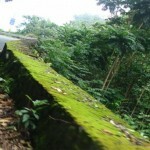 Once on the brink of extinction, there were as few as 30 individuals remaining in the wild in the 1950s. Only through management and captive breeding efforts has the nēnē population begun to recover. Their presence on Kaua‘i is a testament to 60 years of cooperative conservation efforts between state and federal agencies and local communities. 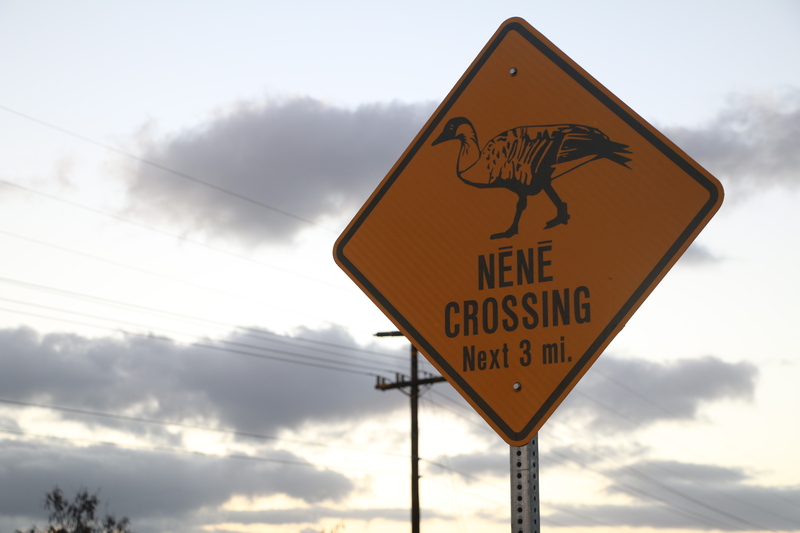 Nēnē crossing the road on Kauaʻi. Photo credit: DLNR and Kaua‘i National Wildlife Refuge. Nēnē mother and goslings on Kauaʻi. 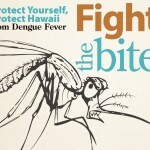 Photo credit: DLNR and Kaua‘i National Wildlife Refuge. Nēnē family on Kauaʻi. Photo credit: DLNR and Kaua‘i National Wildlife Refuge.